In my last blog, “Why Creating ‘McEmbryos’ is Just Plain Wrong,” I wrote about my concerns regarding the creation of an embryo bank at a California clinic. In this follow-up segment, I want to re-state the issues, discuss the past history of embryo banking in the U.S., provide a list of recently written thoughtful blogs on the topic, offer possible solutions to the dilemma and discuss where we should go from here. California Conceptions (CC), as outlined in Alan Zarembo’s L.A. Times article apparently combined donor eggs with donor sperm and divided the resulting embryos among a number of embryo recipients. This process is commonly called a “split or shared donor/donor cycle” but was called “embryo donation” by CC. Any embryos remaining, after the recipients received their allotment, would be cryopreserved and owned by CC. I feel that CC was really trying to offer a cost-affective alternative for patients and that its true intent was to keep the size of its embryo bank as small as possible. Even with good intentions, however, it is quite likely that the embryo bank will grow. 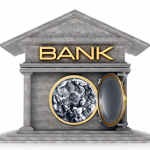 In addition, to sanction the creation of a small embryo bank will almost certainly result in the creation of larger embryo banks across the country. These banked embryos for commercial use are what I called “McEmbryos.” There also needs to be a clear distinction between embryo banking for commercial use and the process of banking one’s own embryos (i.e., collecting through multiple IVF retrievals) to be used by individuals to build their families in the future. I do not feel that embryo banks are appropriate and could result in a plethora of unintended consequences. I feel that corporations, businesses or physician practices should not own embryos. Lastly, the process of a “split or shared donor/donor cycle” should be called “embryo creation” or, at the very least, not called embryo donation. An article by Gina Kolata in the New York Times in 1997 revealed that “ready-made embryos” were already being made for “adoption.” Columbia-Presbyterian and Reproductive Biology Associates were named in the article as providing “premade” embryos to patients. According to the article, most of the embryos were created when donor egg recipients backed out of the process, but the egg donors still underwent the egg retrieval; their subsequent retrieved donor oocytes were combined with donor sperm. Lori B. Andrews, a professor of law at Chicago-Kent College of Law, was quoted as having concerns about the supermarket approach to embryos while the clinicians thought it wasteful to not retrieve and fertilize the donor oocytes if the egg donors were ready for the retrieval. In November of 2012, in response to the N.Y. Times article, Jessica Cussins of the Center for Genetics and Society wrote an excellent blog on the topic, also following-up on the 2007 article by Professor Obasogie. The Texas center was eventually closed and was the subject of an FDA investigation, which eventually found that the creation of an embryo bank did not fall under FDA jurisdiction. John Robertson, Esq., wrote an excellent commentary on the topic in the Bioethics Forum in that same year. 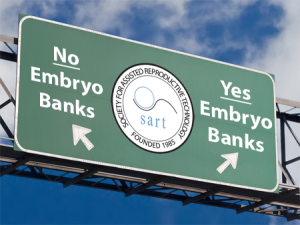 Embryo banks have come and gone, garnering media attention and criticism and I believe it is finally time to set some ethical standards of care about them. Embryos were not to be created to store in embryo banks but only created at the behest of a specific patient and subsequently owned by that patient. Simply modifying the statement above to include “… such embryos for his/her own treatment,” would address the issue adequately, with the sentence potentially used by various organizations as they hopefully set ethical standards of care. If a small embryo bank is allowed to flourish, then large embryo banks will most certainly follow. I don’t think these unintended consequences are that farfetched and need to be considered carefully should embryo banks continue unchecked. About the last thing I wanted to do was to comment on another reproductive endocrine practice comprised of caring staff members dedicated to the care of their patients. I have been criticized for taking such a stand and accused of doing this purely for competitive reasons. 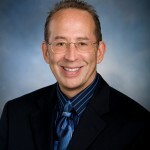 In reality, I have been working with the American Society for Reproductive Medicine’s (ASRM) and the Society for Assisted Reproductive Technologies, (SART) since October of 2011, trying to elicit a set of guidelines prior to the writing of my blog. I far preferred to stay out of the limelight and let the “powers-that-be” decide what should be done next. When the L.A. Times article was published, it de-emphasized the ethical issues and potential unintended consequences of the CC embryo banking practice, so I felt I had no choice but to bring the topic up front and center. My thanks to all of the authors for taking the time to discuss the issue in an open forum. No organization, corporation or physician practice should own embryos except in the most extreme circumstances, such as embryo abandonment. With embryo donation, it is most appropriate that the donor facility simply holds the embryos, with the donors still being able to request the return of their embryos, up to the point of transfer into the recipients, should a catastrophic occurrence take place, Attorneys refer to this as being a guardian, a conservator, or a temporary holder of goods. When presenting at the American Bar Association Family Law Section Spring conference in April of 2012, many of the attorneys there strongly supported the concept of conservatorship of the donated embryos over facility ownership. If the embryos are returned to the donor, it seems appropriate to ask the donors to reimburse the embryo donation facility for all reasonable fees expended in originally obtaining the donated embryos and returning them to the donors. We have been running our embryo donation program this way for over 12 years and we encourage others to do the same. As best as I can surmise for CC, their business model is to recruit a number of embryo recipients and then transfer 1-2 donor/donor embryos into each recipient. I suggest that any remaining embryos be owned by one or more of the recipients and the entire cycle should not move forward until at least one patient agrees to take the extra cryopreserved embryos, should any exist. Extra charges could be levied to those that secure the remaining embryos. In this way, no embryos remain to create an embryo bank and the CC business model remains essentially intact. 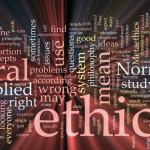 The combination of donor sperm with donor eggs and then calling them donated embryos does not fit with the ASRM definition of embryo donation (Ethics Committee of the ASRM, 2009). Embryo creation is a far better term or “shared or split donor/donor cycle” is perhaps even more appropriate. Calling such embryos donated embryos debases the amazing gift that embryo donors provide when donating their embryos. Who should set the standards? conclusion. My understanding is that the ASRM Ethics Committee is to take up the topic during the early months of 2013. As our main guiding societies, I believe they need to take the lead, develop position statements and provide ethical standard of care guidelines for all practices to use. Canadian Fertility and Andrology Society and the European Society for Human Reproduction and Embryology (I am a member of both) consider the topic and respond with their own recommendations if they see fit. It is not out of the realm of possibility that numerous societies could collaborate to form a consensus, such as they did when they banned the support and publication of human reproductive cloning research. So where are we now on this dilemma? SART has discussed the topic but summary statements are pending. 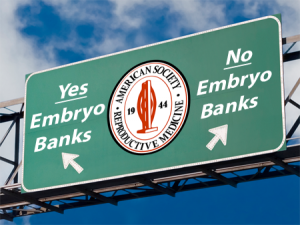 The ASRM Ethics Committee will soon meet, with the embryo bank topic apparently on the agenda. Assuming the Ethics Committee feels the topic has merit, I am uncertain how long it will take for them to release a position statement. I am hopeful that “the powers that be” will be attentive in finding a compromise that will allow CC to continue to offer their skilled reproductive services while preventing the formation of an embryo bank, no matter the size, further clarifying who should own embryos as well as the definition of embryo donation as it pertains to the current situation. I don’t know about you but I don’t really like the idea of “McEmbryos,” or the commodification and “Wal-Martization” of human embryos. Patients should own them and decide their destiny. I am hopeful that our guiding societies will do just that – guide us on this sensitive and important topic. Thanks to Grace Centola, Ph.D., for helping to find the New York State statutes pertaining to embryo banking. Thank you to Jessica Cussins for her blog on the topic, the reference by Professor Obasogie and her followup on the now closed Abraham Center for Life.